Heidi is a wonderfully caring and insightful person to work with. She found my family a housekeeper - which isn't even her specialty - and the person we hired has been as dependable, friendly and honest as we could have ever wanted. She's a pleasure to have around the house. Heidi really knows her people and I'd highly recommend using her services when you need someone to help. Our previous experience hiring household staff through online websites resulted in several wrong steps and looking back, I wish we had just spoken with Heidi from the start! For months I had been working with 2 other firms to find a new nanny for my toddler and infant. I interviewed many nannies (around 10-15) and looked at dozens of resumes. The other firms were just sending anyone without any thought to what we needed and wanted. Then I was referred to Heidi. She took time to get to know me, my family, and our home. She sent us 1 candidate. And that candidate was perfect for us. She made the process easy and seamless. I will never use another nanny placement service. Heidi is professional and thorough, and truly gives it all to make sure she’s finding the right fit for her nannies and families. She is the absolute best. We worked with Heidi after finding out our beloved nanny was leaving the Bay Area. We were so nervous about finding a new nanny! Heidi completely understood how hard the process was. She was so empathetic, and, found some great candidates for our family. We are really grateful to have the nanny Heidi placed with us! She is connecting great with our children, and the peace of mind from the due diligence Heidi takes is priceless! We were in dire straits and were in desperate need of a nanny. We had just moved out to the East Bay and were struggling to find time in the day because of our demanding jobs. Every nanny sight online I reviewed for nanny recruiting appeared risky and looked generic, cold, and distant. I felt I could not trust the information being provided. Then I discovered Nannies by the Bay. It was a wonder company owned and operated by an experienced nanny of 25 years! She drove out from the city to interview us and obtained our every need. Along with that, she interacted with our child to find the right fit for him. Most of all she listened to us and rigorously took notes. During the process of finding the right fit she gave her opinions and advice on what would be a good match. She did follow up calls with us and the candidates for feedback and was not at all pushy during the entire process. She also acted as an advisor telling us over and over not to settle; to be sure and find the right match (which most would not do because the commission is paid when the nanny is found). Once our candidates were picked I was shocked at the amount of experience and education the candidates possessed. In the end we found the nanny we have always wanted. She cares for our son like he’s the only little man in the world, educates him (she is in the process of obtaining a masters in child pyschology), plays with him and even helps around the house. Without Heidi and Nannies by the Bay, we wouldn’t know where we would be; definitely lost!! Our family worked with Heidi to find a caretaker for our children after school. Heidi came to our home, spent time listening to our needs, personally met with people, and then connected us with the most amazing person. We feel blessed to have found someone who fits in with our family so well, is very intelligent, responsible, kind and fun. We highly recommend Nannies by the Bay. As new parents finishing our parental leave, the reality that we both had to go back to work and leave our baby boy during the day was heartbreaking. We underestimated the toll on us of finding, interviewing, vetting and on-boarding a nanny for our son. Heidi has been an incredible help to us, offering a wealth of experience and a number of highly qualified candidates for us to interview. She has been thorough and straight-forward, as well as empathetic and reassuring when we've needed it; and believe us, we've needed it! Heidi has taken the time to get to know us and understand what we were looking for, and has offered pragmatic options for every step of the process from interview suggestions to payment providers. We couldn't be happier in recommending Heidi, especially to other new parents that are navigating the same whirlwind journey we were. "Heidi is a total dream. She understood our priorities, streamlined and narrowed the search and helped us find a great nanny very quickly. She genuinely cares about finding the right nanny for your family. She's also incredibly responsive and has tons of resources for new parents." “Thank you so much for helping us find such an incredible nanny. Jazmin is lovely, and everyone adores her! We feel so lucky to have her, and she allows me to focus on my new bsiness, which is very important to me." I've known Heidi for many years. When I finally became a father she became a go-to person for advice all about family life. Over the years she's connected us with many different babysitters and nannies. Everyone she has introduced us to has been warm, friendly great with kids and very very dependable. Heidi works really hard to find the right person for the right family and has many years of experience in the role herself. You can't go wrong with Heidi and Nannies by the Bay! We used Nannies by the Bay to find a nanny for our two year old son. Heidi really took the time to get to know our family and work out what type of person would be a best fit for us. I really felt like she understood our needs and personalities. She also went above and beyond to help organize temporary care while we were waiting for our new nanny to start. We couldn’t be happier with our new nanny. My son loves her! We will definitely use Heidi and Nannies by the Bay, again. She made the process pain free and easy. After 2 months and about 40 different interviews from caregivers from Care.com, Urbansitter, and Craigslist, I finally was introduced to Heidi from Nannies by the Bay. We quickly became one of her early clients. The first thing she helped us understand is what our family really needed with regards to support, and we changed the job description significantly. Next, she sent us highly qualified candidates. I have no idea where she found such great people, but for the first time we actually had a choice, and ended up with someone wonderful to help out in our house. I have since recommended her to several friends…which is the ultimate sign of a happy client! Heidi helped our family find a loving, educated, professional nanny to take care of our 1.5 year old son. Heidi is an exceptional listener who cares deeply about finding the right nanny-family fit. She worked tirelessly to help us find a unique nanny that would fit our personal preferences, schedule and budget. We are extremely grateful to Nannies by the Bay, and would highly recommend partnering with Heidi. When Peter and I were planning childcare for our small baby our biggest concerns were finding someone we felt we could trust, and someone who could fit in with our family. With 3 children and a busy life I also knew we didn't have time to read though resumes and interview a lot of potential nannies. Initially I hadn't thought I'd need a nanny agency but Heidi made the whole process worry free and really efficient. Trusting Heidi was easy, she's so experienced and understanding. She quickly got a feel for our needs and matched us with a few people to interview who she felt would complement our family dynamic. After interviewing just 2 candidates we found our perfect match. It's been a smooth journey ever since and I feel very comfortable with approaching Heidi if the need arises. She's been able to help us find the occasional babysitter and late notice too! All round our experience with 'Nannies by the Bay' has been wonderful. If I had to sum it up in a few words; friendly, supportive, understanding. Finding childcare in the past used to make me feel anxious. It is so nice not to have that to worry about anymore. Heidi is always easy to contact and I highly recommend her. We were in need of a change with our childcare provider for our two children under two. Nannies by the Bay was recommended to us, and I went in skeptical that we could afford a third party involvement in our nanny search. However, Heidi was confident that in the phone screen she could find us a nanny with everything on our wish list within our budget. After the phone screen, Heidi came over for an in-person interview, and we were blown away by her empathy, confidence, experience, ability to listen to our needs, and then deliver on them. The next day, she had 3 nannies for us to consider with several more to follow days later, and we ended up hiring the very first one sent our way in the process! Our new nanny found through Nannies by the Bay not only is our dream nanny, but also Heidi followed through with every single thing she promised and then some! We highly recommend Nannies by the Bay for assisting parents with the daunting task of childcare search to find the most qualified, reliable, and exceptional candidates for your family's needs! Nannies by the Bay really saved me at a very difficult time. We had just moved to a new home when my family assistant/ baby sitter decided to leave without giving me any notice. Heidi was exceptionally thoughtful, efficient, organized and on the ball in finding me someone suitable for the job, and I am beyond appreciative of her efforts. I don't have anyone better to suggest. Thank you from the bottom of my heart for your wonderful services, Heidi. Our Nannies Say it Best! Heidi with Nannies by the Bay was absolutely wonderful in helping me find my next family to work for. She was quick, efficient and kind all the way through the process. She listened to what I was looking for in a family and charge and delivered. I was matched up with a wonderful couple and baby that are perfect for me! Thank you Heidi for your amazing job! Having returned to the Bay Area after many years living away I initially reached out to older contacts to begin my recent job search. I was very surprised at the lack of response and then the lack of personal involvement from previously impeccable agencies in my opinion. I therefore started to look to other agencies for representation and came across an ad for Nannies by the Bay.From the moment I called and spoke to Heidi, the owner, I knew I had found a diamond in the rough. She was very professional while also building great rapport. Her friendly demeanor and great attitude put me at ease immediately. I could tell she had enormous experience in the industry and took the time to get to know me personally rather than just the black and white of my resume. To me that is, of the utmost importance, if the right fit for both nanny and family can really be found. It's a delicate balance to find and the agency is the mediator, in a sense, therefore needs to know what they are doing. Nannies by the Bay, Heidi Imbus in particular, outshine the rest by far in my opinion. I couldn't be happier in my new role and to know that any time in the future I may be looking again Heidi will be there with her can-do bubbly-ness to help me gives me peace of mind completely as a career nanny. You won't be disappointed if you choose to work with Nannies by the Bay either as a nanny or parent! As a parent to two boys myself, I know where my first call will be if I ever need assistance! Thank you Heidi and Nannies by the Bay for everything you did to help me over the course of my recent search. I wish you all the best of luck and look forward to working with you again in the future! "Nannies by the Bay has been a great support for my nanny career. Heidi is very nice, personable and helpful in finding great families to work for. If you are looking for a good nanny job search, experience, as well as great families, Nannies by the Bay is your best and surest way to find it. " Working with Heidi at Nannies by the Bay, has been nothing but positive energy and outcomes. Thanks to Heidi, I have two wonderful families and I am very thankful to her for that. She is very persistent, helpful and sweet. She never stopped helping me find a job that will benefit me. I can always count on Heidi and I want her to know she can count on me as well. After trying other agencies and websites, I finally found Heidi at Nannies by the Bay! She made the experience personal and that made all the difference. Since she was a nanny herself, she has so much insight and was able to relate to my experiences and feelings. She knows how important it is to find the right match and she is very patient. It was an overall wonderful experience. I'm so glad I found her and my new Nanny Family! "Working with Heidi from Nannies by the Bay has been nothing but a positive experience. She helped me find a perfect match in a family. Heidi was there to give me advice and guidance during the whole process and made it so easy and clear. 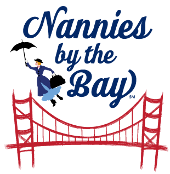 She continues to be a valuable resource and I would recommend Nannies by the Bay to anyone looking to become a nanny, or wanting to hire a nanny!" "Where can I begin to describe the amazing impact that Heidi and Nannies by the Bay has had in my life? After making the move to the Bay Area from the East Coast, I found myself struggling to find a secure job that would allow me live in this very expensive area. That is when I came across an ad for Nannies by the Bay that would change my life for the better! I met Heidi just a couple days later, as she was very quick to get back to me and schedule a meeting. Her charisma and positive attitude made the interview feel very smooth. I now have a great job, with a family in which I fit in perfectly. Heidi's professionalism and can-do attitude makes this agency far superior to any other I have ever encountered. "